UniTel Voice offers virtual telephone numbers loaded with phone system features that make it easy to run your business from anywhere. Find the perfect virtual local DID number that gives your business a local presence or find a virtual toll free number that gives your business a nationwide appeal. Keep your personal phone number private and give yourself the flexibility to use any phone (cell, home or office) by using virtual phone numbers for personal or business purposes. 1. You can get a virtual local number or virtual toll free number and set it up in minutes. Every UniTel Voice plan comes with one virtual number which can be a local number (in almost in area code) or a toll free number in any toll free prefix. You can also choose to port an existing number to your plan at any time. 2. 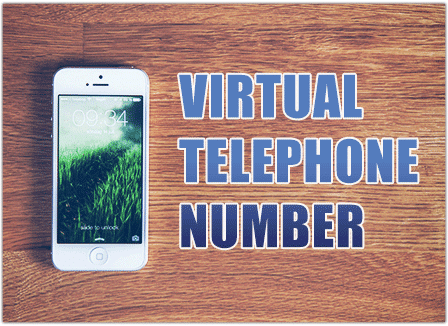 Virtual phone numbers can work with any device. Your virtual telephone number can be forwarded to a main greeting (i.e., a virtual auto attendant with employee and department extensions), a virtual voicemail box, or any device: landline phone, cell phone, VoIP phone or the UniTel Voice smartphone app. 3. Virtual telephone numbers give startups the flexibility they need to grow. If you are just starting out with a new business a virtual phone number from UniTel Voice is a smart move because it’s inexpensive and includes business phone system features that can make your startup sound professional. And as your business grows, so can your virtual phone system, by adding more minutes to your plan or changing the way you and your team handle calls. The nice thing is you can manage everything online and make instant changes whenever you’d like. 4. You own your virtual phone numbers. With UniTel Voice, you own your phone numbers, period. If at some point you’d like to move your business phone number to another provider you can do so without any strings attached. Your business phone number is your business asset just like your business’s website domain. You wouldn’t want to rent your website URL. So don’t use a phone service provider that “leases” a number to you or a call center that owns your number as part of your call center account. 5. You can add more telephone numbers to your account at any time. You can add additional phone numbers (local or toll free) to your UniTel Voice account at any time for a one-time fee of $4.99/month per number. Keep in mind that every plan comes with unlimited extensions, so even if you have one phone number you essentially have as many phone lines as you want. Also, any phone number you have on your UniTel Voice account doubles as an efax number – meaning you can call or fax your number. If your number is faxed, you receive the incoming fax as an email attachment. To fax out, simply login to your online management portal – no fax machine required. However, many of our customers have multiple numbers because they use one number as their main business line and the other numbers on their various marketing channels (Google ads, radio ads, etc.) in order to track call traffic and better understand the marketing ROI they’re getting.